was at the British School in Rome, September 2017. The time and resources of the residency allowed an intense and creative focus that was heightened by the rich history, cultural immersion and dynamic community of the BSR. I studied in Rome as an undergraduate for a year at Temple School in Rome; this first trip to Italy was formative to my perspective of history and culture as a living entity. Since my first experience, my reflections on place, culture and interests have matured into particular theoretical, feminist and phenomenological focuses. I have found that the two distinct experiences of traveling to Rome have influenced valuable reflective and reflexive contributions to my perspective and my methodology in my arts practice. First in the opportunity to spend an uninterrupted period of time dedicated to my arts practice and secondly because my subject of research has evolved more succinctly, I was able to be more precise in how I might re-imagine possibilities through a more cultivated point of view. I focussed on processes of drawing while thinking about histories of art with a feminist perspective; for me, drawing is the most fluid and raw form of an idea. 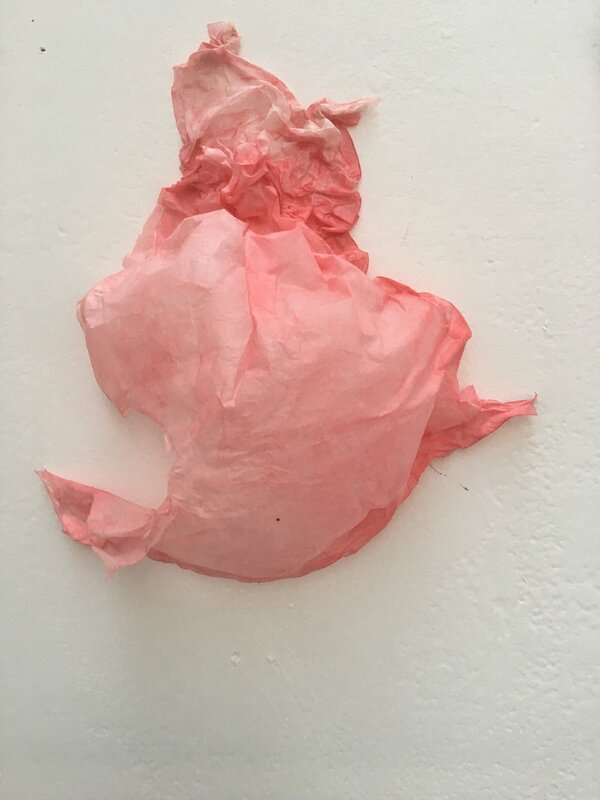 During the residency I worked with paper using the material as a way to express variations of actions applied to the medium. 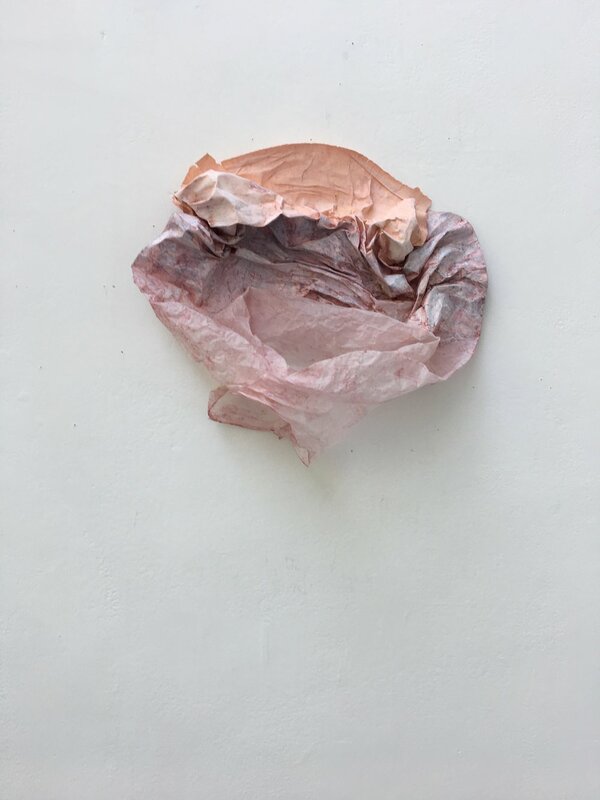 I was contrasting expressive characteristics of fabric and skin represented in stone sculptures, to the temporal and material qualities of paper. I was thinking through representations of women in stone in contrast to how women might describe their own subjectivity. Cast, carved, modeled and rendered into perfect stillness I explored these fixed positions by recreating the expressive representations of fabric and skin by wet and dry folding, scrunching, bending, laying and billowing the paper. 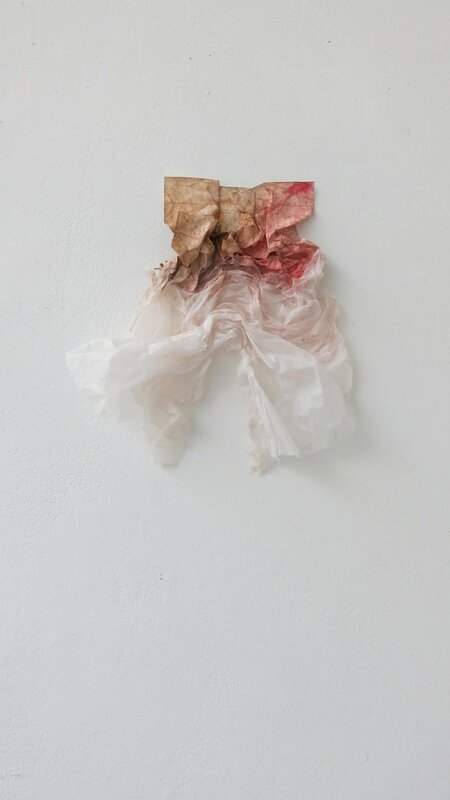 I documented the making processes as a form of research, by doing this the body of work I created in Rome contains a short film and a series of sculptural artworks that would be exhibited together. The series relies on the projection of space, light and the sense of vulnerability embodied in the artworks.